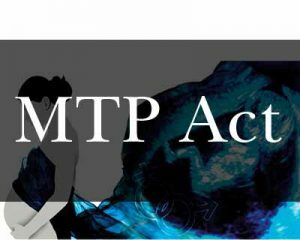 Mumbai: In a recent order, the Bombay High Court held that a registered doctor can perform MTP beyond 20 weeks to save woman’s life without court permission in certain conditions. “A registered doctor can terminate a pregnancy that has crossed the 20-week period without permission from the court only if it poses risk to the woman’s life”, the Bombay High Court has ruled. A division bench of Justices A S Oka and M S Sonak in its judgement on Wednesday, however, said permission from either the HC or the Supreme Court will have to be sought when a pregnancy has exceeded 20 weeks and the woman feels its continuation would involve risk to her or the foetus’ mental/ physical health. The bench in its order noted that there has been an increase in the number of pleas in the high court by women seeking to terminate the pregnancy either on grounds that the foetus developed abnormalities or because the continuation of the pregnancy was causing mental or physical anguish. “In cases where a registered medical practitioner is of the opinion, formed in good faith, that termination of pregnancy, which has exceeded 20 weeks, is immediately necessary to save the life of the pregnant woman, there is no necessity for even seeking any permission,” the court said. “Thus, if a doctor is of the opinion that if the pregnancy is not medically terminated immediately the woman may die, then it is the duty of such a doctor to undertake the termination process and the MTP Act provisions will afford immunity to such doctors,” it said. The bench said permission from HC will be necessary if a woman seeks to medically terminate her pregnancy not on the grounds that are not immediately required to save her life, but on grounds like its continuance would involve grave injury to her physical/mental health and/or there is substantial risk that the child, when born, would suffer from abnormalities. “Though there is a debate as to whether the foetus is a person entitled to rights, there is no debate on the issue that a child born alive is a person, in whom the right to life and personal liberty inheres,” the court said. “We make it clear that under no circumstances such a child must be neglected or left to perish, particularly where the woman or her family members may not be in a position to or not willing to assume responsibility,” it said. “However, in the unfortunate situation where, for several myriad factors, the parents are unwilling or genuinely not in a position to care for the child, then the state government will assume parental responsibility towards such a child,” the court said. why would any physician undertake the responsibility of terminating a pregnancy of 20 weeks and more and face the wrath of public, law enforcement agencies and the courts of law if things go wrong? he has may other patients who can be helped even if he does not undertake the 20 weeks abortion. why make a law first making the abortion legal and again another law to encourage MTP??! !